Chinese mobile maker Xiaomi unveiled the Mi 6, its latest flagship smartphone, at a packed-out event in Beijing on Wednesday. The Mi 5's successor features curved "four-sided 3D glass" and a front that isn't bezel-free like the company's Mi MIX, but the phone does boast a lot of tech for a device that starts at 2499 RMB, or $360 – about half of what a base iPhone 7 goes for in China. 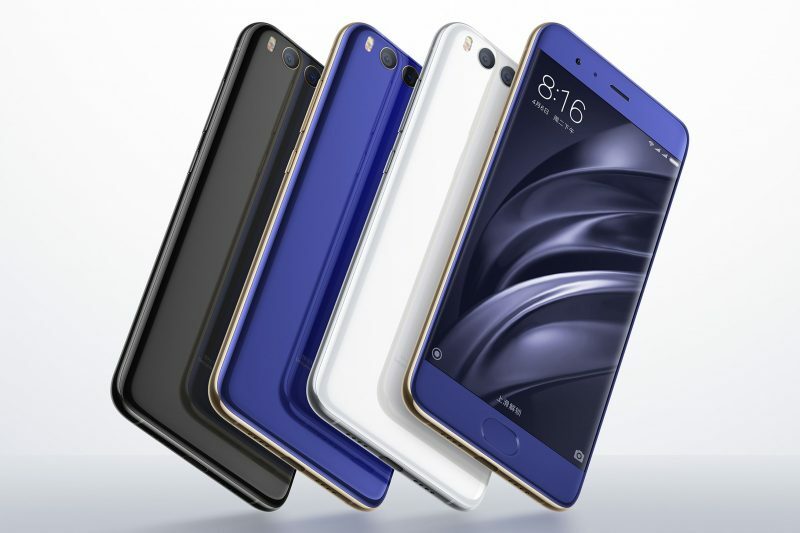 Like the iPhone 7 Plus, the new 5.15-inch Mi 6 includes a 12-megapixel rear dual lens camera combining a wide-angle lens and a telephoto lens. It also matches Apple's latest smartphone with 10x digital zoom, 2x lossless zoom, image stabilization, and depth of field effects. Similar to the Mi 5s, the Mi 6 features a Qualcomm-based ultrasonic fingerprint reader built under the glass at the bottom of the phone. The "button-less" technology is said to recognize a 3D map of each user's fingerprint through ultrasonic waves, although it only works within the bezel's concave indentation that marks out the home button. 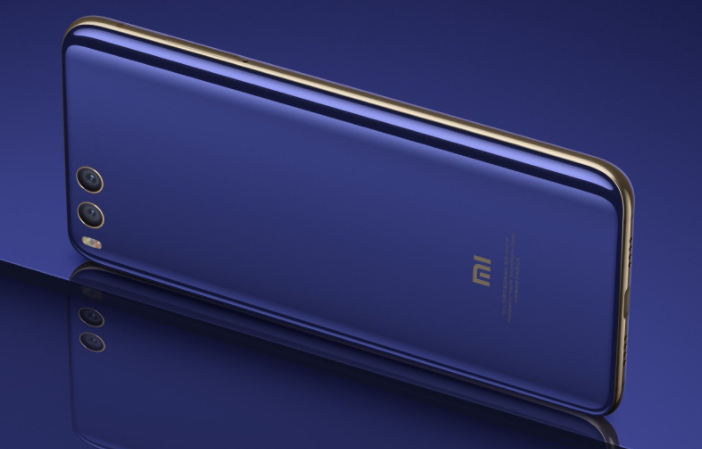 The Mi 6 includes 2x2 Wi-Fi, which is meant to improve connectivity speed, and does away with the headphone jack, settling for a single USB-C port instead. 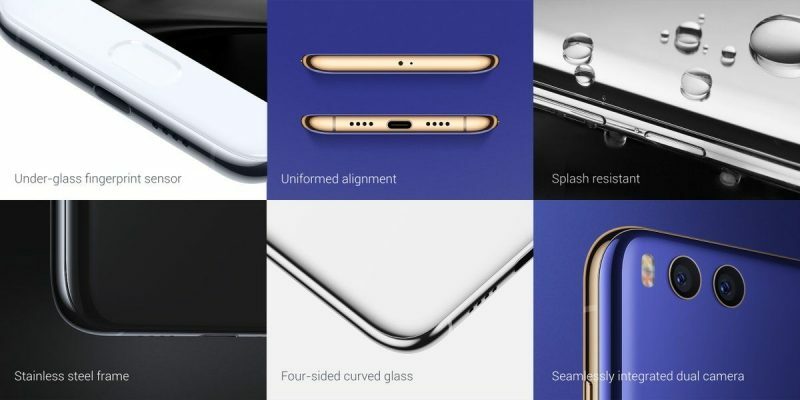 Elsewhere the handset features the latest Snapdragon 835 processor (also found in the S8), 6GB of RAM, 64GB of storage memory on the entry model, dual stereo speakers, a 3,350mAh battery, a new "night display" screen mode, and water resistance. 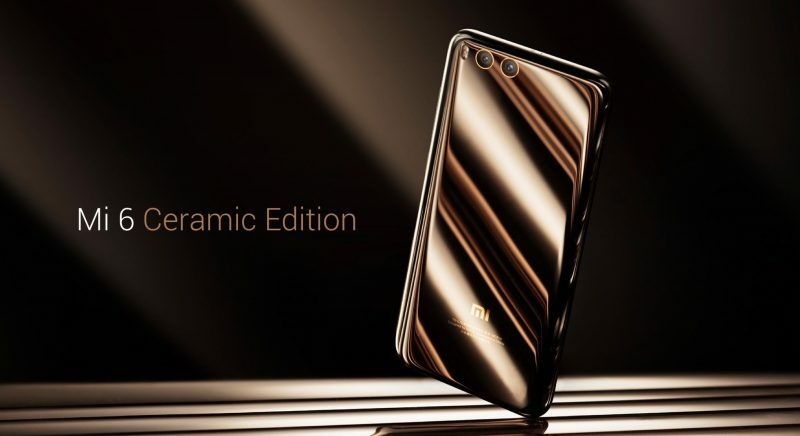 The Mi 6 with 128 GB option costs 2899 RMB ($420) while a special Ceramic edition goes for 2999 RMB ($435). It's unclear at this time whether the phone will become available in Europe or the U.S. The announcement of a new flagship phone comes at a particularly important time for Xiaomi, which suffered its first sales slump last year. The company's former VP of Global Efforts Hugo Barra left in February, while CEO Lei Jun recently admitted the firm had grown too fast and was now entering a transitional period, as it focuses on its main markets in China and India. I think it's safe to say that for a large share of people, it's iOS that is keeping them loyal rather than the hardware. Apple really need to up their game (and IMO needed to a few years back) or more people will start to jump ship. The materials, aesthetic and specs are impressive. I would pay more for an iPhone having the same, because Apple does maintain higher standards for working conditions, tries to ensure humane sourcing of rare earth materials, and do have programs in place to minimize adverse effects on the environment. We are not paying just for the phone itself, but for better practices. Of course the problem with Apple right now is their design looks stalled out and stale. They're a very huge company now serving an immense international market and can't turn on a dime like companies that are smaller and hungrier and can pop out a metal phone, then a glass, then a ceramic one. And pretty and speccy isn't that impressive without good service and support standing behind the product. Apple invests a lot in infrastructure to provide that. Samsung is starting to get on the ball, too. I've not heard the best support and service stories about the smaller Chinese companies yet. I love it when people comment about how cheap these phones are and never questioned how they manage to get it so cheap? Ever thought that perhaps they squeeze out their suppliers and a squeeze up supplier means poorer working conditions? Though its okay, because this is Xiaomi we're talking about, lets see Apple do the same thing and you'll see hordes of people with pitch fork saying Apple need to improve working conditions. I love it when people comment about how cheap these phones are and never questioned how they manage to get it so cheap? It's neither rocket science nor socially evil how Xiaomi and others sell such nice phones for less. 1. They're okay with not making record huge profit margins on the hardware like Apple does. 2. They don't have the overhead of Apple, who spends a ton on fancy HQs, tens of thousands of employees, stores, R&D on cars, ads, etc. Consider that Apple pays Foxconn about $230 for an iPhone 7 that it sells for $650. Now imagine if they were instead willing and able to take only a 2% profit margin like Xiaomi. Frankly, beyond greed, there's no reason for phones to cost very much. It's no different than the way that DVD players, microwave ovens and other consumer goods started at $1,000 but now can be had anywhere for far less. Apple doesn't like to reduce their margins. Instead, they usually force Foxconn take the hit. If they match Apple's design, features and specs for half the price like this it seriously undercuts people's reasons for paying the Apple premium. These cheap phones used to be crap, but the game has clearly changed. And if production will be forced to move to the US... How can you compete with that? exactly. Without a jump in battery tech - phones will plateau in their capability. They are bound to get cheaper. Apple can only "value add" for so long. Interesting how you pointed out point no.2, R&D and 2% profit margin ended up saying greed. So if Apple go for 2% do you think they'll have money to develop their own processors, green initiative, R&D and etc.? Well, yes, absolutely. R&D comes out before the profit margin is calculated, and Apple still stashes away hundreds of billions of dollars of pure profit. What I was pointing out aside from profits, is that since Xiaomi doesn't spend any money developing electric cars, desktop computers, etc, they can price their phones even lower. That's to help answer your question about how they can do so. No one would like to reduce their margins, Foxconn included and in this case, since Apple needs the volume and Foxconn is the only one that can deliver it to them, the agreement would likely be mutual. Apple themselves have never claimed that they paid Foxconn more to give more to their employees. It's certainly not the way that Apple normally rolls. On the contrary, the BOM estimates of the labor cost to Apple for assembling iPhones has actually dropped over the past ten years. "There are two important pressures that Foxconn faces, neither of which have anything at all to do with various student groups demanding that Apple force wage rises. "The second is that Foxconn is embarking on automating its lines. Terry Gou has said often enough that he wants to put in 300,000 robots in the short term and a million in the medium term. " Does anyone have a photo of this in real life? I'd like to know what it really looks like not a press shot.